Peru offers the visitor an unrivaled combination of fascinating cultural history, impressive archaeological sites, and natural beauty that spans from the arid coast, to the Andean Mountains, to the Amazon Rainforest. 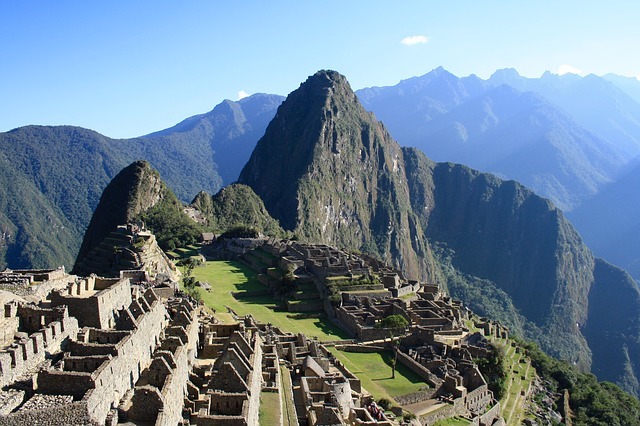 Machu Picchu was recently named one of the New Seven Wonders of the World. Peru surpasses nearly all other destinations in the world when it comes to a rewarding vacation. Boasting some of the most unique indigenous peoples on the planet, as well as a storied history and a variety of natural landscapes that will exhaust your camera, a Peru trip is most often a life-changing experience. Speaking of events, Peruvian festivals and holidays are among the most colorful on the planet, and with thousands of them going on throughout the year and across the country, chances are good that you can add one of these unforgettable experiences to your list of things to do. A Peru vacation is part adventure, part learning experience. Outdoor pursuits and intriguing ruins will have your heart pounding and your imagination soaring, and not only will you learn a lot about the people and events that shaped Peru, but you will also probably learn a lot about yourself in the process. Peru is magical, exciting, awe-inspiring and mesmerizing all at once, and if you treat yourself to a vacation in Peru, you will long live the memories in your mind. Chances are you’ll return again one day. Better sooner than later. Peru is a shopping mecca for crafts and artwork and happens to be one of the top destinations for shopping in all of Latin America. Small stores align the streets with handmade alpaca clothes and other textiles, woven items, and pottery. Outdoor markets are also popular, as women set out their items and barter for your money. Traditional Peruvian items are very colorful and quite dazzling—something you do not see in your American malls. In cities such as Lima and Arequipa, you can also find textiles and ceramics from ancient civilizations at a very reasonable price (the dollar goes a long way in Latin America). Inca Trail – When is the best time to hike the Inca Trail to Machu Picchu? The dry season, which runs from April to October is the best time (and most popular) to hike because of the milder daytime weather. You will need to make your reservations 3-4 months in advance if you want to be assured of space during this time. During the rainy season, the Trail is less crowded and less advance time is required for reservations. The Inca Trail is closed during the month of February each year. Inca Trail – Do I need to be physically fit to hike the Inca Trail to Machu Picchu? Yes. You will be hiking 26 miles over four days in altitude ranging from 8,200 ft above sea level (Chilca , 2,500 m) to 13,776 ft (Warmiwauska, 4,200 m). The high altitude (lack of oxygen), walking up and down stairs, and temperature extremes (warm days and cold nights), make this a physically challenging experience. If you are physically fit and spend a minimum of two days in the Cuzco region to acclimatize prior to your hike, you should be fine. Inca Trail – Should I be concerned about altitude sickness? When traveling to higher elevations, there is a risk of getting altitude sickness, but it is not possible to predict who will get it. Most experts believe it has more to do with genetics than physical fitness. The best way to avoid or reduce the symptoms of altitude sickness is to rest for 1-2 days upon arrival at altitude, drink plenty of liquids, and avoid alcohol and heavy food intake. We suggest that you discuss your travel plans and personal health with your physician before traveling. Inca Trail – What should I bring for the Inca Trail hike to Machu Picchu? We suggest that you bring the following items: Passport, money belt ($100 USD, $100 S.), backpack (daypack if hiring a personal porter), flashlight (spare bulbs and batteries), camera (spare film), comfortable, worn-in, hiking shoes, hat, sunscreen +30spf, lip balm, sun glasses, gloves, one pair long pants (zip off), one pair shorts, two t-shirts, one long-sleeved t-shirt, underwear and socks, thermal underpants and shirt, fleece jacket, warm jacket, swimsuit for Aguas Calientes (bring a towel from your local hotel), plastic poncho (can be purchased in Cuzco), Swiss army knife, plastic bags (sealable, to keep your possessions dry), personal medicinals (biodegradable soap and dish, shampoo, toothbrush and paste, shaving gear, deodorant, towel), contact lens fluids/glasses, basic first aid kit (aspirin or acetaminophen, Lomotil or Imodium for diarrhea, bandages and Band-Aids, Benadryl or other antihistamine, Calamine lotion), sanitary hand wipes, snacks (chocolates, dried fruit, energy bars), refillable water bottle (1.5 liters), water purification tablets (Micropur), insect repellent (containing DEET), toilet paper (important), optional: flip flops (for the shower), sleeping bag (3 season, which can be rented in Cuzco for $12), playing cards, wooden walking stick. Inca Trail – What do I need to carry? You will need to carry all of the items on the packing checklist, unless you hire a personal porter. If you hire a personal porter, he will carry up to 11 lbs., which will cover your sleeping bag, extra clothing, and other items. You should be able to fit everything else into a daypack. Inca Trail – If I bring my own sleeping bag, what kind should I bring? Down-filled bags are lighter, and mummy-style bags insulate most effectively and are your best choice for colder, high-elevation conditions. Most sleeping bags have a temperature or comfort rating, which indicates the lowest temperature that the bag is designed to accommodate. For the Inca Trail, we recommend a 3-season bag, which has a temperature rating of 10-35° Fahrenheit. If you don’t want to bring your own sleeping bag, you can rent a 3-season sleeping bag in Cusco for $12. Inca Trail – What equipment does South American Vacations supply? We supply single and double occupancy sleeping tents (wind and water-proof), a bathroom tent, a kitchen tent, a dining tent, tables, chairs, and comfortable mattresses. Our 8 Day/7 Night Inca Trail to Machu Picchu tour includes the cost of personal porters. Inca Trail – Are bathrooms and shower facilities available on the Inca Trail? All of the larger campsites have toilet blocks with flush toilets and running water. We provide you with a bathroom tent as well. If you need to defecate between campsites, the only option is to go outdoors. (Since we cannot assure you that toilet paper will be available, we strongly suggest that you bring your own.) There are hot shower facilities at Wiay Wayna on Day 3, for a small fee, but most of the people take showers upon their arrival in Aguas Calientes. Inca Trail – How is drinking water supplied? You can buy bottled water in Cuzco or at the start of the hike at km 82/88. Boiled/treated water will be available during the hike. You can also refill your water bottle in the mountain springs that you will pass during the hike, but you will need to use your water purification tablets and wait 40 minutes before drinking. Inca Trail – What kind of food is served during the Inca Trail hike to Machu Picchu? The day-by-day menu varies, but usually includes eggs, pancakes, oatmeal, soups, chicken, beef, and/or fish with rice and other vegetables, milk, coffee, tea, and other refreshments, and snacks consisting of fresh fruit, cookies, and chocolate. A vegetarian menu is also available, and we can accommodate other special dietary requirements upon request. Inca Trail – Where do I leave the rest of my luggage and other items that I am not taking on the Inca Trail hike to Machu Picchu? You will leave the items that you are not taking on the hike at your hotel in Cuzco or the Sacred Valley, depending upon your itinerary. Inca Trail – Should I tip the porters, cooks, and guides? The porters, cook, and guides expect to be tipped at the end of the trip. The rules of thumb are as follows: $6 per porter, $10 for the cook, $20 for the guide, and $15 for the assistant guide. You will need to do some basic math in order to compute the amount that each person in the group should contribute, since the size of the group and the number of porters can vary. If you hired a personal porter, you will need to pay him a tip yourself. The climate of Peru varies quite a bit depending on the region and on the time of year. When is the best time to travel to Peru and Machu Picchu? The best time to travel to Peru and Machu Picchu is April to September. During this time, the temperature in Lima is relatively mild and it is the dry season in the highlands, where the major tourist destinations of Cusco, Machu Picchu, and Lake Titicaca are located. The best time to travel to the Amazon rainforest in Peru is during the dry season, which runs from June to November. The Centers for Disease Control and Prevention’s website provides recommended and/or required vaccinations for each country. For Peru, it recommends that you should be up-to-date with routine shots such as measles/mumps/rubella (MMR) vaccine, diphtheria/pertussis/tetanus (DPT) vaccine, and poliovirus vaccine, and that you get vaccinated for Hepatitis A and Typhoid, and Hepatitis B, depending upon your travel plans. It recommends Yellow Fever vaccination if you are traveling to the areas east of the Andes Mountains and all jungle areas of the country below 7,546 ft. Travelers who are limiting travel to the cities of Cusco and Machu Picchu do NOT need vaccination. The CDC also suggests that you see a health-care provider at least 4-6 weeks before your trip to allow time for your vaccines to take effect. What are the passport/visa requirements for American citizens traveling to Peru? U.S., Australian, Canadian, and EU citizens (except Latvia and Romania) require a passport valid for at least six months from date of entry and return ticket for stays of up to 90 days. Citizens of Latvia and Romania require a visa. Citizens of other countries are advised to contact the Peruvian embassy in their country before traveling. What are the standard wall currents and electrical socket shapes in Peru? Voltage: 220 V; Frequency: 60 HZ; Plugs: Type A (Flat blade attachment plug), Type B (Flat blades with round grounding pin), and Type C (European 2-pin). What are the international departure taxes for Peru?